You are here: Home / Pocket Knife / What’s the Best Lock Blade Pocket Knife? The lock blade. Simple. Safe. Reliable. There is a reason this knife has become the cornerstone of the everyday carry movement. Selecting the right lock blade knife is the foundation on which you build your everyday carry collection. But how do you make that selection? This article will explore exactly that, as we dive deep into how you should go about finding the right lock blade knife for you, and even recommend a few our our favorites. And, to better illustrate our point, please take a look at the interactive table below that features a variety of lock blade EDC knives that you can compare and contrast based on blade length, price, and more. For such an essential element of your everyday carry collection, a lock blade knife needs to be made of the right materials, with the right design, and – more subjectively – reflect your personality. When it comes to materials, it all comes down to what alloys are used to make the knife durable and retain an edge and what materials are used to make the handle robust and easy to grip. With respect to design, the blade length, blade style, weight, and shape of the knife are all important factors. Personality, though, is another factor entirely. Sometimes there can be two outstanding knives, but, because of the subjective feel of one, it simply just is not the right knife to carry. People tend to gravitate toward knives that reflect their personality. Even just the simple decision to wear a knife is a reflection of that person’s personality, of whether they want always to be prepared and able to defend themselves. 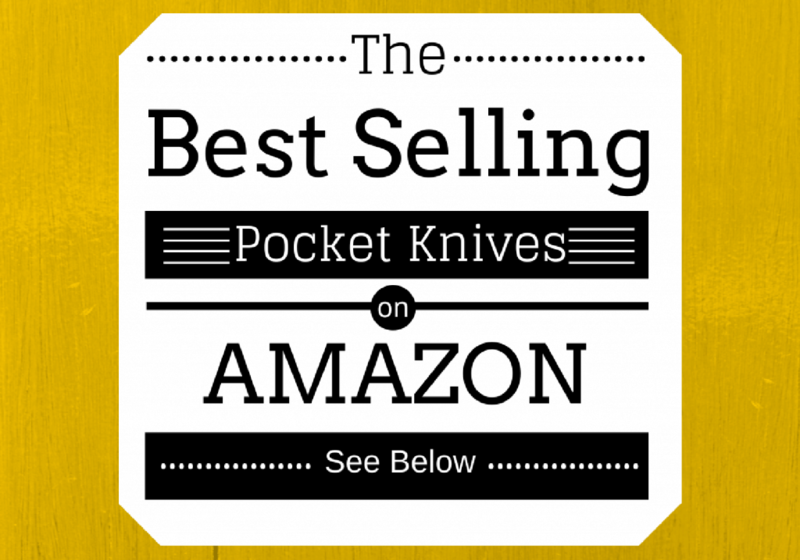 Below, please take a moment to view some off the best-selling pocket knives on the market. The cheap one: people look at the knife as a tool, something about which they do not want to get emotional about. They would not expect a hammer to have designer looks, and they do not expect a knife to either. People that select this knife are all about utility and economy. The elegant one: people want something that expresses its function with minimalist grace. They want a knife that could just as easily go in the MoMA design catalog as did the Eames Chair. The tactical one: people that select a tactical knife are looking for a tool that is fit to fight. Perhaps they served in the military themselves, or maybe they want to embrace the Spartan values of the military. Regardless, they want a knife that is a suitable weapon. The classic/the icon: for some people, having the right knife is about being a part of a grand tradition. Those that select iconic knives want them to be handed down from father to son, and to grandson as well. The wild card: Some are drawn to knives that are forward-looking in their design. These early-adopters want the new new thing. Their knives are dramatic. 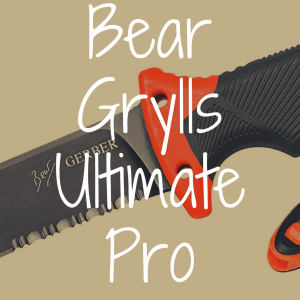 While there are many knives that are perfect for the five types of knife users on the list above, the five listed here are great examples of each category. The Kershaw Cryo 2 is a perfect knife for someone who wants a knife that meets the standard at a low price point. It typically retails for less than $30.00 USD. Regarding materials, the 8Cr13MoV Tanto blade is exceptionally well-designed for such a low-cost knife, with the flipper mechanism doubling as a finger guard. The Cryo 2 is proof that a cheap pocket knife does not need to be a crummy pocket knife. 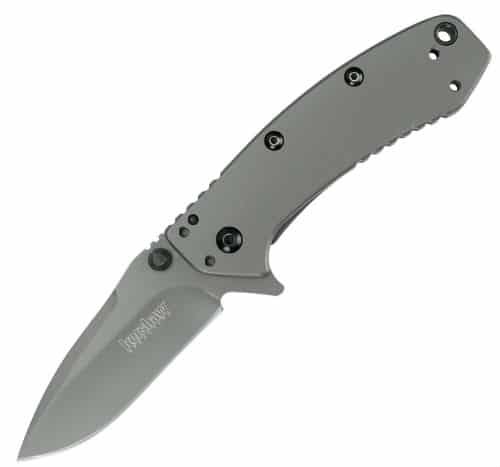 The flipper mechanism is a result of Rick Hinderer’s experience designing far more expensive knives than this one for Kershaw. It makes it possible to open this manual-opening knife almost as rapidly as an assisted-opening knife. One feature some would also appreciate about the Cryo 2 is that it can also be closed with one hand (although it should be noted that two-handed closing of knives is much safer than one-handed closing). This all metal knife does have a downside in being one of the heavier knives on this list. I also find that the clip – designed for deep carry (meaning that the knife is not visibly sticking out of a user’s pocket) – is a bit loose. This is not a huge failing, however, as the Cryo 2 has a large market of customization parts, including clips and spacers, available on Etsy and Amazon. 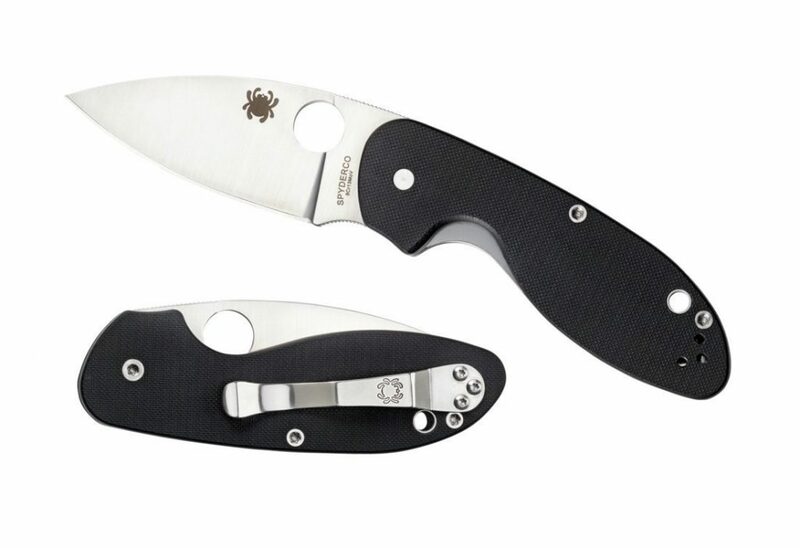 While many Spyderco knives have a somewhat clunky design deriving from Spyderco’s focus on the first responder market, the Efficient is part of an attempt to make small-bladed everyday carry knives that met the restrictive legislation seen in many US cities. 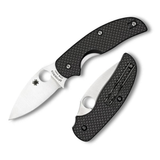 The Efficient, like other small Spyderco knives, uses a leaf shape for design inspiration, which allows for better cutting geometry and less force. In fact, the cutting geometry on the Efficient appears so balanced that the knife, overall, seems to follow the Golden Mean. The body of the knife is more streamlined than the normal waffle pattern used on Spyderco knives but still maintains grip through the use of textured scales. The wire pocket clip may not be as sturdy as the solid metal pocket clips used on other knives, however. 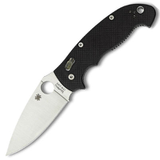 The Efficient is a manual-opening knife, much like the whole of the Spyderco product line, and has the thumb hole popularized by Spyderco. The CRKT Homefront is unique in that it can be fully field stripped, allowing its wielder to clean the entirety of the knife, a very useful thing for those in austere conditions or who use their knives for hunting or fishing. 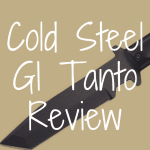 The knife itself comes in two models, one with the AUS–8 rounded clip point design and aluminum scales and another with the 1.4116 tanto design and glass-reinforced fiberglass scales. he ring-shaped flipper opening mechanism acts as a substantial finger guard for combative tactics with this knife in the traditional hammer grip orientation. The Buck Model 110, the Model A Ford of lock blade knives, has been around for 53 years and is still a wildly popular knife. This was the first lock blade knife I handled, decades ago at Boy Scout Camp, and I am sure it will be on the market long after I am dead. This Buck pocket knife has a design that harkens back to the 19th Century Bowie knives, via the strong curve of its clip point blade. Not much has changed on the Model 110, and that is not universally a good thing. The blade, made of 420HC steel alloy, will sharpen easily, but it will not hold that edge as well as some of the more modern alloys used on blades listed here. The wood and brass body, while elegant, are exceptionally heavy. This is the heaviest knife on the list, nearly four times heavier than the lightest knife on the list. 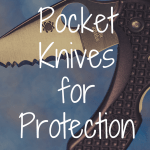 While that weight means that the knife will be fairly durable, it also means it is quite the rock in the pocket while on a long backpacking trip. The downside to a classic is that it was designed well before one-handed opening became a trend in knife manufacturing, so thumb studs, flippers, and assisted-opening features are non-existent. 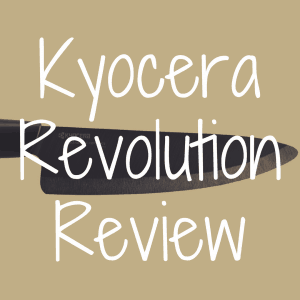 You can read our interview a about the Buck 110 right hee. The SOG Twitch II comes in both a metal body and a beautiful rosewood body that is a modern, futuristic design update of the Buck Model 110. Whereas the Buck 110 is a brass and wooden tank, weighing in at 7.2 ounces, the Twitch II is an ultralight flipper, weighing in at 2.6 ounces. The Twitch II substituted brushed aluminum for the heavier brass furnishings of the Buck and gave them an elemental, geometric modern look (although, I cannot help but look at the hinge and think of the hats worn by Devo). Like the walnut finish of the Buck 110, the SOG Twitch II has a wooden body, although it uses the more exotic rosewood. The knife is an assisted-opening knife, which allows for one-handed use, although some have complained that the lock on the knife requires two hands to close (although two-handed closing is safer than one-handed closing). The plain edge blade is a good choice for those who do not like the difficulty in maintaining a serrated blade, and its length means that the knife is safe to use in most jurisdictions (excepting the United Kingdom and New York). Surprisingly, given its update of the design of the Buck 110, the Twitch II is cheaper than the 110. What’s the Best Buck Knife? 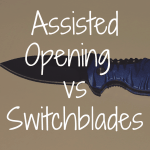 Assisted Opening Knives vs Switchblades: What’s the Difference?